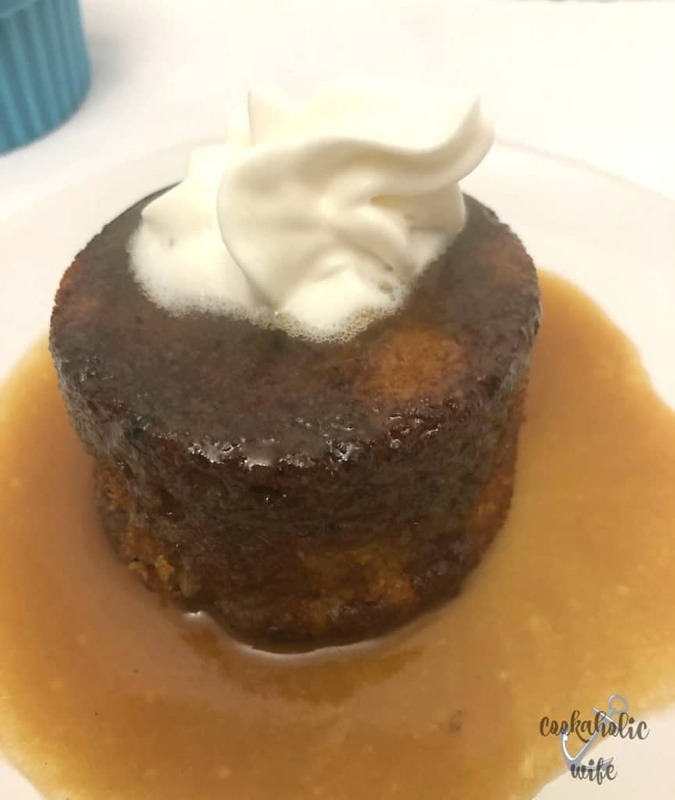 Sticky toffee pudding first appeared in England in the 1970’s. It’s a moist sponge cake make with rehydrated dates and covered in a rich toffee sauce. It’s commonly served with vanilla custard or ice cream. 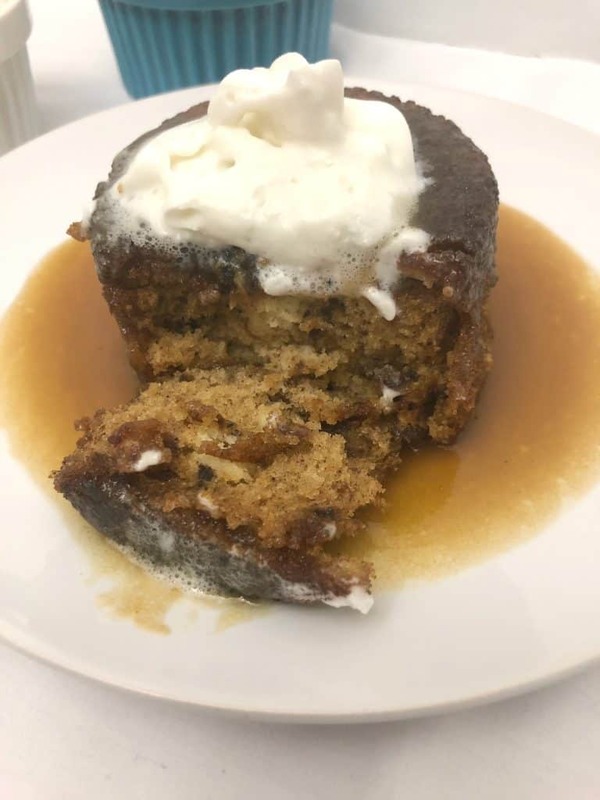 I had Sticky toffee pudding for the first time back in April. On a girl’s trip to Vegas, my friend and I ate at Hell’s Kitchen. We did the tasting menu, which was the scallops, beef wellington and sticky toffee pudding. For years I watched Gordon Ramsey yell at chefs for those recipes. That meant I needed to try them, right? In Vegas, Gordon’s version has a salted caramel and Speculoos ice cream. Two of my favorite things! February’s theme for Baking Bloggers is British food. At first, I had no idea what to make. Vaguely I remembered trying British food and not really caring for it. I have no idea where that came from. When I started to search British foods, I found tons and tons that I wanted to make. 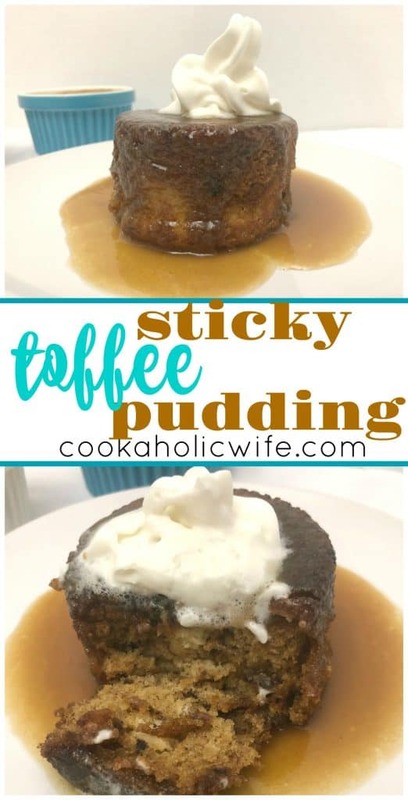 But, it didn’t take long to settle on a sticky toffee pudding recipe. The varieties looked delicious, but I wanted to stick with the classic version for this blogging event. 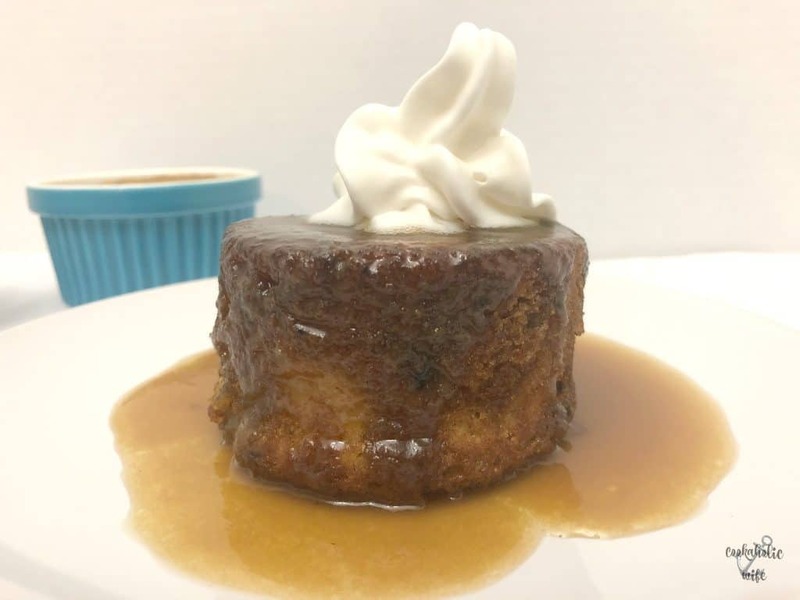 Sticky toffee pudding can be served individually in ramekins or in a larger baking dish. It’s your choice. 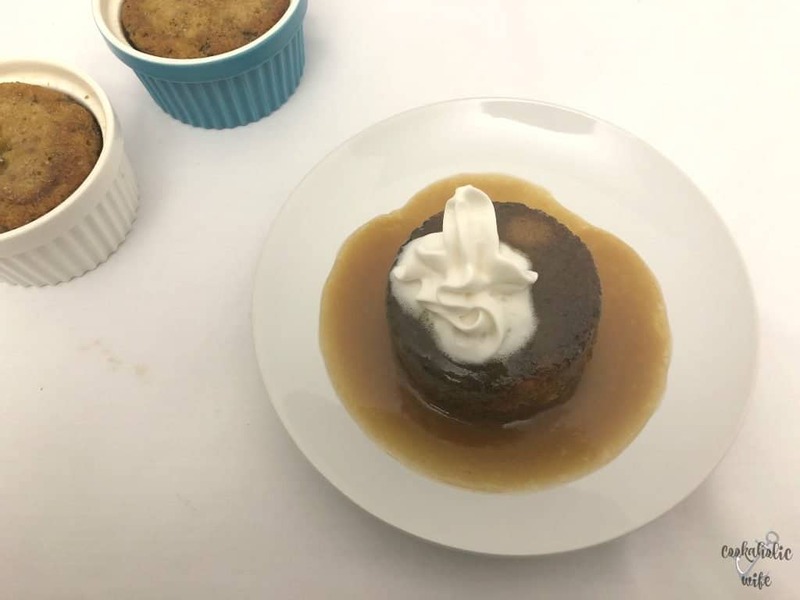 Sticky Toffee Pudding is a traditional British dessert consisting of a sponge cake covered in toffee sauce. 1. Preheat the oven to 350 degrees. Spray 6-8 6 oz. ramekins or an 8×8 baking dish with cooking spray. Combine dates, baking soda and vanilla in a bowl. Pour boiling water on top and let sit for 15 minutes. In the bowl of a mixer, beat butter and sugar together until light and fluffy, about 5 minutes. Add in the eggs, one at a time. In another bowl, whisk together the flour, baking powder and salt. Slowly pour the flour mixture into the stand mixer until combined. Without draining, pour the rehydrated date mixture into the mixer and mix until just combined. Fill ramekins 2/3 full or spread mixture evenly into the prepared 8×8 pan. Bake ramekins for 18-20 minutes, 8×8 baking dish for 20-22 minutes. Remove from the oven and let cool while the sauce is being prepared. Combine the butter, sugar, cream and salt together in a medium saucepan over low heat. Stir until the sugar has dissolved, about 7 minutes. Ramekin baked cakes can be turned out onto small plates. Pour sauce on top and serve immediately. Cake can be served hot or at room temperature, but sauce should always be served warm. Knowing I wanted to take this to work, I made 3 servings in ramekins for us to enjoy at home and the rest was poured into a baking dish to take to work. If you have a sweet tooth, you’re going to love this cake! It’s light and airy light a sponge cake should be. And that sauce? Yeah I wouldn’t blame you if you made extra, poured some in your coffee, over your pancakes…just about anywhere! How exciting that you were able to score a table at Hell’s Kitchen. Did you have to order them way in advance? No, I think we got lucky though. I didn’t see that it was even an option until February or so and we were going in April. I looked and there were 3 days with 3-5 times left on each day so I booked it right away. I’ve only had this dessert once and I almost fell out of my chair in total lust! I think I really need a do-over!!! You do! I don’t repeat a lot of desserts, but this one definitely needs to be a holiday staple or something. Perfect for the theme! These sound delicious! I could swim in that sauce, and the texture on the cake looks fantastic! This would definitely be a hit here.